Shadrake had spent some three years digging into the details of a number of earlier cases involving the death penalty in Singapore, particularly cases where drug trafficking was involved. In Singapore, trafficking above a threshold amount of certain drugs warrants the mandatory death sentence, which means that judges have no discretion in taking into account mitigating factors in such cases, or have any authority to mete out alternative sentences. Relating how he got himself involved in investigating these cases, Mr Shadrake said he had been asked by an Australian magazine to do some “tourism” reports on Singapore in 2002. He was impressed by what he had seen – the cleanliness and efficiency of the city-state. However, this made him suspicious as well. It was all too nice, he felt. At this time, the case of Mike McCrea, a Briton who was being charged for the double-murder at Orchard Towers was all over the news in Singapore. McCrea was also believed to have dealt in drugs. The plight of Nguyen Van Tuong, an Australian-Vietnamese who was sentenced to hang in Singapore for trafficking heroin, was also in the news. In 2005, Shadrake was commissioned by an Australian news agency to report on Australians who were sentenced to death and who were languishing in prisons across Asia. This was on the back of growing interest by Australians in the death penalty with Van Tuong’s case in the spotlight. 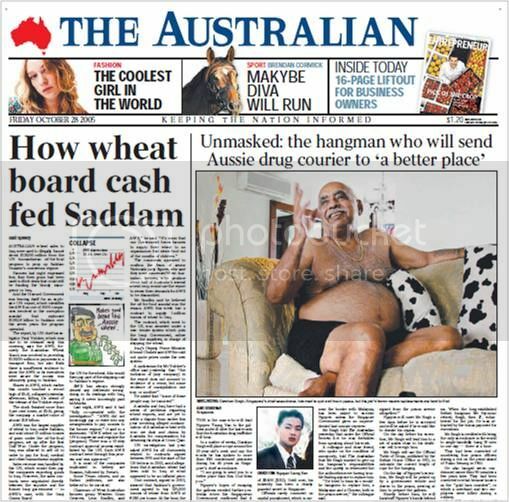 In October that year, The Australian newspaper ran a story by Shadrake of an interview he did with Singapore’s hangman, Darshan Singh. In it, Singh was reported to have said “he hoped to be called on to perform the execution and that his experience would ensure Nguyen would be hanged ‘efficiently’.” The report caused an international outcry and Australians, who were campaigning for Van Tuong to be spared the noose, were outraged. Mike McCrea was eventually extradited from Australia, where he had fled to, and was sentenced to 24 years in jail for the murders. He was never charged for drug offences. Nguyen was hanged in December of 2005, after his clemency appeal to the president was denied. Shadrake said he was surprised that no Singaporean journalists were interested in delving deeper into death penalty cases. Instead, the local media seemed to be more interested in how Shadrake managed to interview Darshan Singh, given that Singh was bounded by the Official Secrets Act. The local tabloid, The New Paper, had carried a report in 2005, authored by Kor Kian Beng, quoting Mr Singh as saying that he was “tricked” into giving the interview. When The Online Citizen asked Shadrake about what the New Paper had reported, he said: “That’s absolutely nonsense. It was Darshan’s excuse that he was tricked. I don’t trick anybody.” When the two men first met, Shadrake had introduced himself as a freelance journalist to Singh, who then promptly invited him into his home. Shadrake explained that he had a witness to his interviews and that the interviews with Singh were conducted over several days, at Singh’s home, where Singh’s wife was also present at times. Darshan Singh is believed to have hung almost 1,000 people in his 50-year career as Singapore’s chief executioner. He is also believed to have been paid S$300 for each hanging. Once A Jolly Hangman is a heartwrenching read. 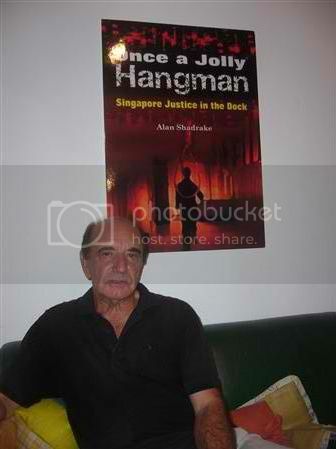 With his research and details to the background of the cases which he investigated, Shadrake raises the question of whether Singapore’s use of the mandatory death penalty is one of justice or deterrence (as the authorities have insisted), or one which at times is borne out of political expediency. The book looks at earlier cases such as that of Julia Bohl, a German woman who despite being initially charged for trafficking 687g of cannabis (which automatically warrants the death penalty), served only 3 years in jail. The book also delves into the case of Malaysian Vignes Mourthi, hanged in 2003, where the prosecution’s chief witness, police officer Sgt Rajkumar, was later found to be guilty of bribery and himself sentenced to 15 months in prison. Rajkumar was being investigated by the Criminal Investigation Department (CID) at the time that he was giving testimony in Vignes’ trial but this was not made known to the defence attorneys, according to Shadrake’s book. Shadrake revealed that he paid a visit to Vignes’ family about six months ago with the evidence to support his claims. Shadrake says Vignes’ father is planning to sue the Singapore government to clear his son’s name. The Post Musuem was filled to capacity on Saturday, even though the launch was by invitation only. 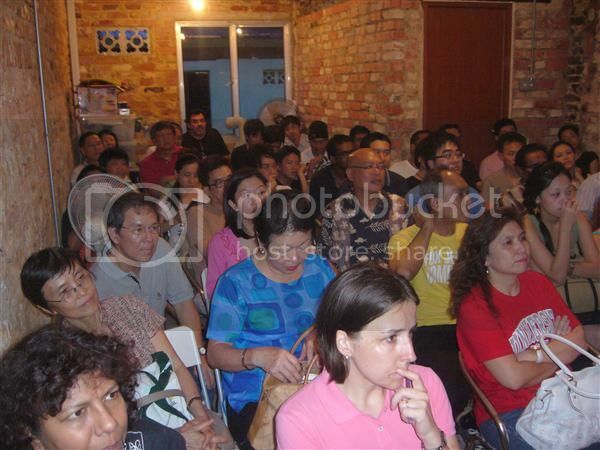 Also addressing the audience was social commentator and activist Alex Au. Au spoke on how the issue of the death penalty was an “intractable” one which was not susceptible to rational arguments. He said that any call for the abolition of the death penalty can never be achieved through rational arguments alone. Ngeow Chow Ying, a Malaysian lawyer who is in Singapore to help in the case of Yong Vui Kong, a Malaysian who is currently on Singapore’s death row, said she was disappointed for not being allowed to visit Yong at Changi Prison this week. “I’ve been looking forward to meeting Yong,” she said. Ngeow argues that “death will not put a stop to drug trafficking because another uneducated and naïve person will come along” and be made use of by the drug barons. While she accepts that foreigners have to accept and respect another country’s laws and legal process, she feels that Yong’s case is different. This is because of Singapore’s Law Minister K Shanmugam’s public comments on Yong’s case which she feels have prejudged and prejudiced Yong’s rights to the clemency appeal. The Malaysian government, in this case, has an obligation to protect the rights of its citizens in a foreign country, she explains. Ngeow hopes to convince the Malaysian government to bring the case to the International Court of Justice, although this has never happened before. Copies of Once A Jolly Hangman, which was available at the launch, sold out quickly. This perhaps, as Au said, is a sign of growing awareness and interest in the issue. The book is available at Johore City Square @ MPH in Malaysia where it was released two weeks ago. It is published by GB Gerakbudaya/SIRD. In Singapore, the authorities have said the book is not banned here. However, bookstores have been told by the Media Development Authority to remove the book from their shelves. 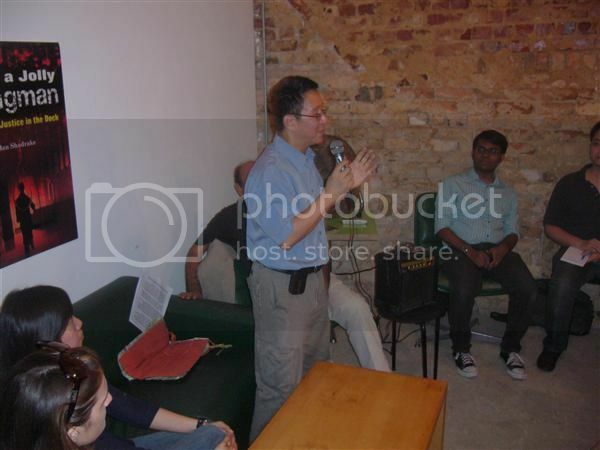 The book launch was jointly-organised by the books’ publisher, Gerakbudaya, and the Singapore Anti-Death Penalty Campaign activists. Read also: Alex Au’s review of the book: New book puts death penalty on trial. Special thanks to Jacob George for the pictures in this report.